Potala Palace is a must-see Tibet attraction whose wonder has been capturing travelers’ imaginations. Tibet Travel Expert (www.tibetctrip.com) is giving travelers a preview of what’s in store for you and help you visit Potala Palace without any hassle! Potala Palace is one of Tibet’s top must-see cultural sites. It has been capturing travelers’ imaginations as it takes them on an adventure through Tibetan history. Potala Palace’s highest point is at about 300 meters (around 1000 feet) above the valley floor. Its gargantuan size often surprises travelers. Potala Palace houses over 1,000 rooms, 10,000 shrines, and around 200,000 statues. Potala Palace was, in the past, the political center of Tibet. It was also the former residence of the Dalai Lamas. Most Tibet tours include a visit to this architectural wonder; Tibet Travel Expert (www.tibetctrip.com) gives travelers a preview of what’s in store! Potala Palace is typically first on a Tibet tour itinerary. Travelers will first huff and puff their way up several flights of stairs before reaching its entrance. While challenging to those not acclimatized to the altitude, panoramic views of Lhasa and the surrounding mountain scenery reward travelers at the spot! As travelers enter the front doors fantastically painted walls foreshadow the beauty to come. Next the group proceeds to the former living quarters of the 14th Dalai Lama. It includes his throne room and areas where he received foreign dignitaries. One would not forget a Tibet travel experience easily. Potala Palace was the residence of former Dalai Lamas all the way back to the 5th. Over hundreds of years Potala’s interior has been ornately decorated. Vibrantly colored and incredibly detailed paintings cover the walls and shelves of prayers books tower overhead. Travelers can see gold covered statues, shrines of unimaginable beauty, and even look upon the resting places of past Dalai Lamas. Incense fills the air and the glow of yak butter candles illuminates cultural treasures, creating a dream like atmosphere. As travelers are suspended in wonder and awe, your native Tibetan guides will help give a historical and cultural basis for understanding what they see. Potala Palace is one of the most famous and important Tibet attractions. 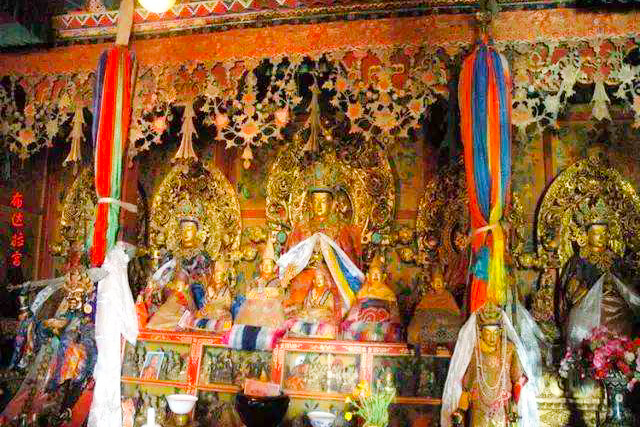 Visitors can enjoy a window into the past as they walk where Dalai Lamas and Tibetan kings have walked. 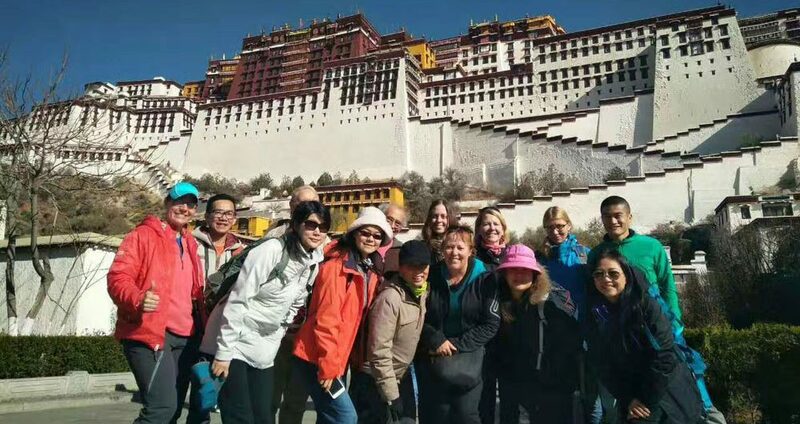 Tibet Travel Expert will take care of making reservations for travel groups and provide a native Tibetan guide who can help introduce travelers to Tibetan history and culture as they tour Potala Palace. Whether taking time to explore Tibet extensively or only in Tibet for a short time this is a place that not be missed. Now that the Tibet travel season is in full swing, we suggest travelers to start planning their visit to Potala as soon as possible!